I enjoy eating sandwiches. For the sake of this post I would like to define sandwich. Sandwich is defined by me as anything on a roll. It could be a kaiser roll, it could be a hoagie roll, it could be a ciabatta, it doesn&apos;t matter. If it&apos;s on a roll then it can be on this list. And without any further fanfare, these are my favorite Top 5 sandwiches. 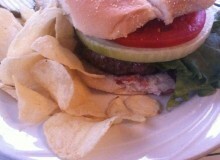 Hamburgers - My two favorite places for burgers are Wert&apos;s Cafe or Bada Bingg, I suggest the Mobster Burger. Both will cure your burger hunger. Any Double Decker Sandwich at Dunderbak&apos;s - The Blue Max, the Red Baron and the Mozart are just wonderful. There is a full no-meat vegetarian double decker, but I don&apos;t think I&apos;ll ever try that one. 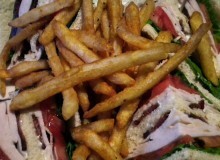 Any Turkey Club in downtown Allentown. 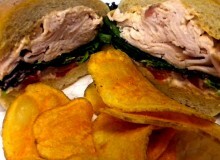 The Brew Works, Nana&apos;s Cafe, Deli Plaza 2, if you order a turkey club you won&apos;t be disappointed. 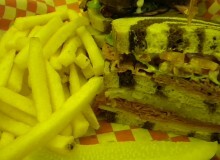 The Signature Sandwich at Deli Plaza 2. Was at one point my unquestioned favorite sandwich, period. It&apos;s chicken with all the fixins and if you&apos;re not quick then Mike, the sandwich artist extraordinaire, will put everything on it. So be careful, and keep an eye out. Last on this list, but definitely not least, was a special at Bada Bingg, many moons ago, that I keep ordering week after week in the hopes that it will make its way on the menu, just because I order it so much. I&apos;d be super honored if I could rename it after my friend Agent Palmer. That is the Bank Roll at Bada Bingg. 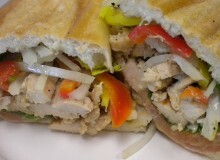 Smoked turkey, field greens, roasted red pepper and chipotle mayo on a ciabatta. It&apos;s simply good. What are your favorite sandwiches? What makes it a sandwich and where can you get it?